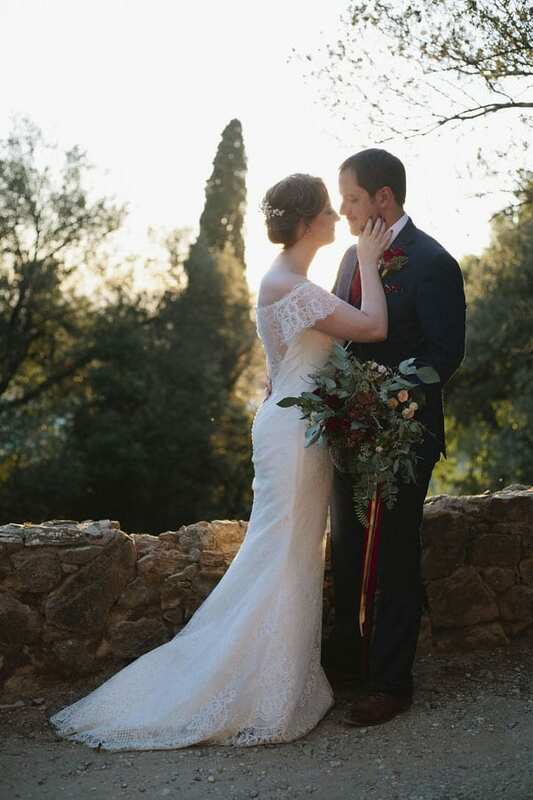 Choosing Italy as your elopement destination would be one you would forever dream of. Elopements in Italy are truly the most romantic way for couples to proclaim their everlasting love for one another. Imagine the intimate ceremony of your dreams as you are overlooking the rolling hills of Tuscany, sharing the most heartfelt words about your deepest and endless love for your soulmate. As you begin strolling through the luscious Tuscan vineyards with your love, the sweet smell of the grapes is blowing in the wind so smoothly. The picture-perfect Tuscan sunsets are so mesmerizing that they will keep you and your other half glued to the glistening sky until after dusk. The most relaxing part of this magical evening will definitely be watching the sparkling lights twinkle in the city below as you listen to the crickets softly sing…wishing this perfect moment could last forever. Here at The Tuscan Wedding, we create the most sentimental evenings of celebration for you and your special someone. We love creating these magical ceremonies as they are indescribable, the most touching words are exchanged between the beautiful couples. Couples come to us when they want to accomplish an enchanting ceremony to truly appreciate the commitment and devotion to one another for all of eternity. a couple desires from makeup artists, florists, photographers, bridal cars, and more! We can plan the most authentic Italian aperitif, 3-course dinner, and dessert! Your mouth will water looking back on this incomparable evening thinking about how delicious this meal you and your spouse shared! If you wish to lengthen this fairytale of an evening we can also provide amazing activities such as beautiful pre-wedding dinner overlooking the breathtaking city or a luxurious post-wedding boat ride on the water to celebrate as newlyweds! If you wish to have a magical elopement, one that you and your soulmate will cherish forever, look no further than Italy! The Tuscan Wedding will be here, ready to plan the most incredible moments between you and your true love in the most miraculous elopement destination!